Jim Ross helped make WWE during its most successful time in ratings history — the “Attitude Era” — providing the sort of energetic commentary that turned unknowns into superstars. So when wife Jan was tragically killed in an accident this week, one would think the company he gave so much of himself to would remember him. To be fair, WWE may be planning a “thoughts and prayers” tribute this Monday or Tuesday. Jan was struck by a vehicle while riding her vesper without a helmet on Monday night. TMZ reported her death on Wednesday, so WWE programming hasn’t had a chance to address it. But the company has a popular website and an active Twitter account. Furthermore, Triple H and Stephanie McMahon are very active on Twitter while Vince McMahon updates every few days. Thus far, the only parts of the company to send well wishes and condolences to Jim Ross are some past and current talents. It’s true that Ross is no longer part of the WWE. He officially resigned on Sept. 11, 2013, though it is widely known his contract was set to expire and would not be renewed. Ross said he was fatigued from complications of his Bell’s palsy and was not intoxicated as some claimed. Vince publicly stated in a December 2014 interview that Ross chose to leave the company and that there was no “heat” between them, though he admitted that he was not pleased with the reported behaviors exhibited on the panel. Even so, Jim Ross and the WWE have not worked with each other since the departure, so speculation continues to abound. With WWE not issuing even the slightest conciliatory statement regarding the death of Jan Ross through its website, official Twitter, or executive leadership Twitter accounts, it lends itself to the belief a beef may still exist between the McMahon family and J.R. When Jim Ross was with the company, they never were known for going easy on him. The company humiliated him publicly on more than one occasion. The company also had Jim Ross do angles where he took beatings from “Stone Cold” Steve Austin and Triple H (multiple occasions). When he had life-threatening colon surgery in 2005, Vince filmed a not-well-received segment making fun of him. Bleacher Report has a more complete rundown of the many humiliations of Jim Ross here. Most fans could handle the humiliations, however, because they were always done in storyline. 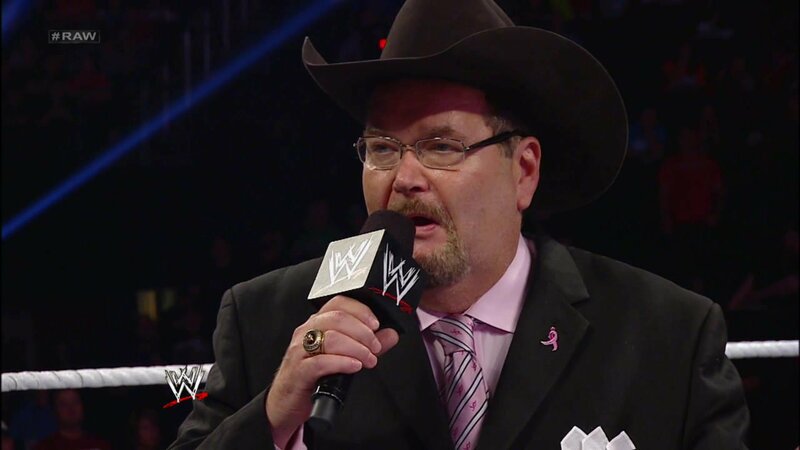 And while it’s good that so many of the stars currently on WWE’s roster have remembered Jim Ross during this difficult time, he deserves some kind of acknowledgment from the company itself. Being unable to lay out a 150-word statement of condolence or a 140-character tweet is not a good look, no matter what the animus (or lack of) is behind it. Ross was married to Jan for 24 years and was an ardent supporter of her husband, the talent, and the company during much of that time. If there is a justification for not showing J.R. support during this difficult time, it’s hard to see what that might be from here. Should WWE release a statement of support for Jim Ross, and if so, should it have taken this long to do so? Sound off in the comments section below.